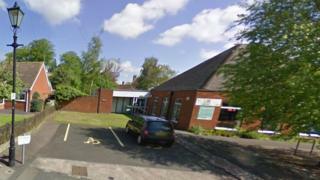 A local NHS trust will take over management of eight community libraries in Staffordshire. It comes after a consultation on 43 libraries that have been run by the county council. About 34 posts will be lost under the move but the council hopes to redeploy staff or use voluntary redundancies. The change was not about money but how to "best invigorate libraries to remain relevant", the council said. A South Staffordshire and Shropshire NHS Foundation Trust (SSSFT) spokesperson said "a period of community engagement" prior to taking over would allow the trust to decide upon opening hours and services provided by the libraries. They were not able to comment on potential running costs. A church group and community bodies will take over a further three. Staffordshire County Council said the savings would be approximately £350,000 a year for three years - 5% of the libraries budget. No fees were paid by the trust or other groups to take control of the libraries. The SSSFT provides mental health, learning disability and specialist children's services across South Staffordshire. The other libraries will be run by The Care and Fun Club, Rising Brook Baptist Church and Werrington Community Voluntary Group. The detail of how the eight libraries would be staffed has yet to be worked out, a trust spokesperson said. County council workers will not be involved in running any of the 11 libraries. Conservative councillor Ben Adams said the organisations would receive council support and the authority would retain responsibility for maintaining the buildings. Mark Cardwell, from the SSSFT, said: "We believe our involvement with these key local services will help us to get to know how we can best meet the needs of local people." Plans are for 20 of the council's 43 libraries to be managed and staffed by the council library service, while 23 will have different management. A second phase of applications will take place later this year. Transfers will take place later this year.